Even before the programme started, I knew I had selected a high calibre of learners, ones who were ready to fully engage and get the most out of this unique opportunity. The GSL Catalyst has been designed to develop young people’s leadership skills; improve their team working and communication; increase self-confidence and improve their understanding of the global challenges we face and how, through partnership and innovation, we can solve them. As part of the three days, they were taken through real life case studies that demonstrate good project management and learnt how to create their own impactful social action projects. 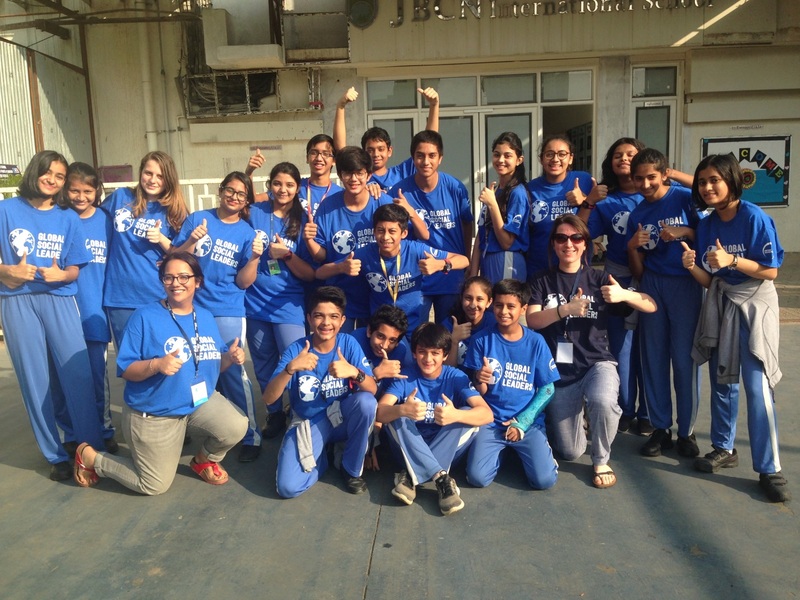 Future Foundations designed a programme that included experiential team tasks, workshops around global issues, as well as focussing on the different styles of leadership. These were all supported with reflection sessions, so that participants could understand how their learning and experiences were helping them to become more self-aware and how they could apply these to ensure they became great leaders. The motivational plenary, highlighted how the learners were forming part of a global movement of young people passionate about making social changes. I focussed on how the decision to bring about changes personally and on wider scale was down to the learners themselves. After learning everyone’s names (which took me more than a day to pronounce them correctly! ), the learners explored their comfort zones. This session really got them thinking about how they can support each other’s development throughout the programme, as well as thinking about the ways in which they might challenge themselves to stretch during the programme. The morning closed with the learners exploring what leadership means to them. Day 1 was structured to help the learners develop their research skills and improved their understanding of global and local issues in the ‘Current Scenario: The Challenge’. Following this, the learners then came up with their own vision statements. These outlined the issues that they wanted to address and encouraged them to articulate this to their peers. The glow that it created was incredible. The learners all spoke about how inspiring it was to listen to each other’s hopes for a better world. The final session, ‘The Big Debate’ ensured the learners were able to form evidence-based arguments. The day ended with a reflection session, were the learners were encouraged to identify what they learnt about themselves that day. Day 2 was themed around going from ‘Good to Great’ and what that means in terms of leadership. It consisted of experiential team tasks, that helped the learners to identify and play to the strengths of their team mates and also practical workshops that examined real life GSL case studies and different types of leadership styles. Through the combination of workshops the learners really began to see how different situations called for different styles of leadership. They then applied some of these new understandings to form a group consensus in the Deki Loan challenge. They presented their chosen entrepreneur to a panel of teachers, who kindly came into support the session. It was great to see different learners taking the lead in presenting group ideas, as for some, this really pushed them out of their comfort zone. This was asserted in the afternoon reflection session where there were some real personal insights into what they found challenging about the day. The final day focussed on learners developing their project ideas and learning how to plan their social action. The learners were introduced to the Sustainable Development Goals competition and were encouraged to enter their projects after the programme. They spent the morning sessions planning their projects and preparing their presentations. They implemented the use of SMART goals to help them achieve their objectives in a manageable way. 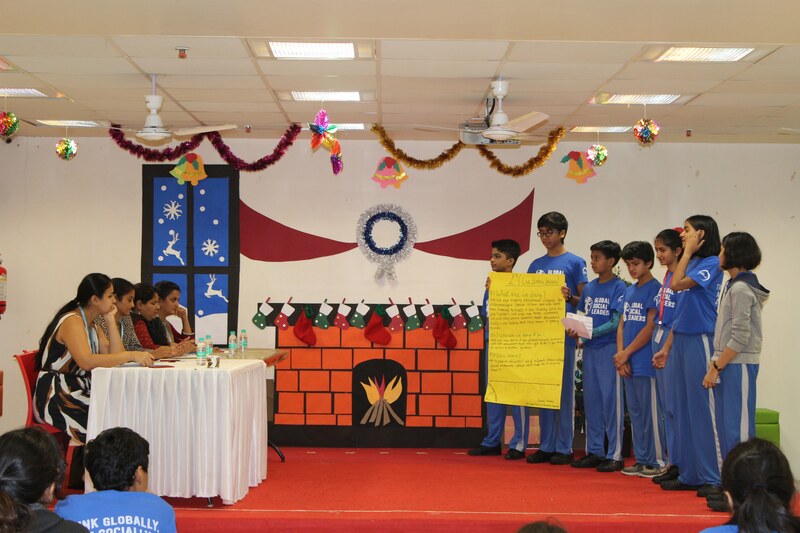 The three social issues that they chose were; supporting a remote community with health packs; an anti-bullying project to support other learners who are experiencing different forms of bulling and helping to raise awareness; and thirdly an education project to help underprivileged children living in slums. In the afternoon, we invited key organisations and NGOs based in Mumbai to provide feedback on the learners’ project plans. A big thank you to Anna-Louisa Psarras, from Prospero World, who introduced me to three incredible organisations. We were very grateful to have Natasha Albuquerque from Aseema; Tejashree Wadivkar from SUPPORT; Priyanka Anand Chadha from Dasara; Anju Paniculam from Mumbai Mobile Creche; and to form our panel of judges (pictured below). 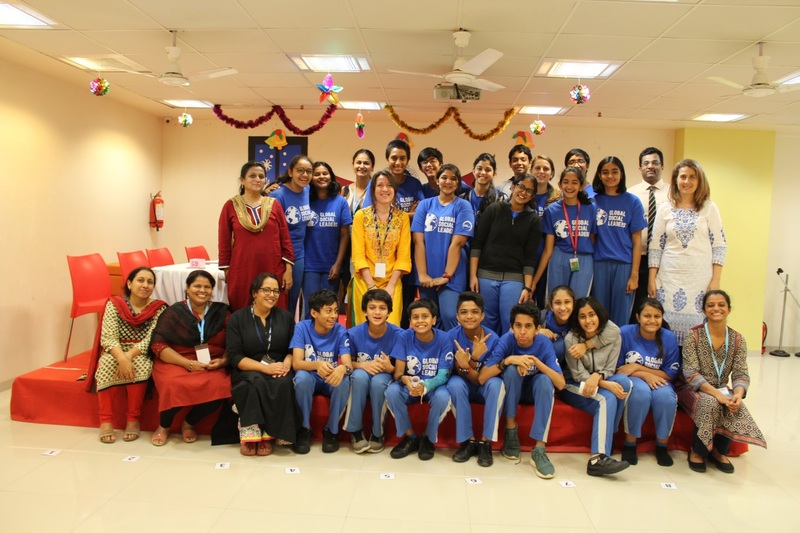 A special thank you to JBCN staff, in particular Ms Ana Dominguez the Vice-Principal and the Principal Dr. Narendra Shetty for hosting us so well and providing an opportunity to work with such inspiring learners (also pictured). The panel of judges were so supportive and really helped the learners to think more deeply about the focus of the projects, as well as helping them to identify ways they could improve on these. The learners presented their ideas phenomenally well and Deepa and I were so impressed with how they represented themselves and JBCN in the session. One of the judges commented, “Children have such potential. They continue to amaze us with their curiosity and passion. Having you tap their potential was inspiring too”. We found it very inspiring having these organisations come and support the learners of JBCN. The young people were asked how much they enjoyed the day on a scale of 1-5. A massive 95% of the participants gave the programme 5 out of 5. We discussed all the issues I've always written about, and GSL gave me a platform to discuss things, find solutions and improve on my skills. I'm very grateful. Thank you Amy and Deepa! It was a lot more fun than I expected. I realised a lot about my potential. This programme has been really exciting and I loved it! It was just amazing! Some of the best fun I've ever had. Just a suggestion, but 3 days was just not enough. It should've been for more days. I don't think I can put into words how fun and amazing everything was throughout the programme.